Death Valley is one of the most unique places on the earth. The colors and landscapes you can see there are amazing and I haven’t found anywhere else where you can photograph all of them in such close proximity. Death valley is huge and without good planning you can easily get stranded without gas in the middle of literally nowhere. I’ve been there several times and even with my knowledge of the roads and trails I’ve had my share of close calls. I’m going to share some of my tips and tricks to see the most sights and avoid the common mistakes as well. 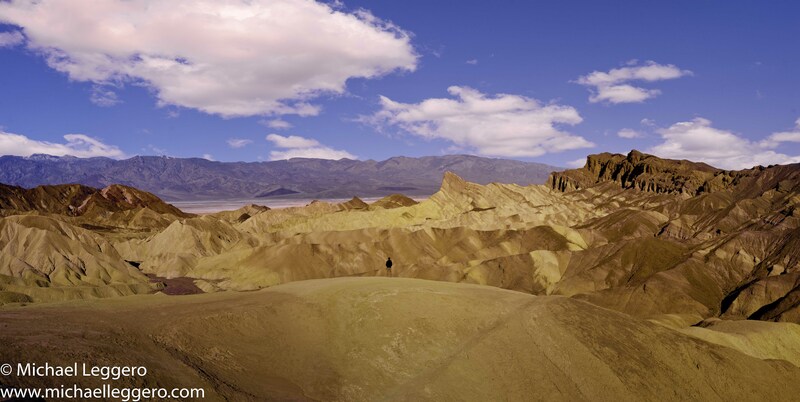 Death valley has many many things to see but some are more spectacular than others. It’s a real let down to travel 2 hours to see something and get there and say to yourself “that’s it?” This guide will help you to plan a good trip and keep you safe. For most people your adventure will start in Las Vegas where you pick up your rental car. Anything four wheel drive is fine for the trip you don’t need a hummer, but the luxury is nice. My first trip I had a small jeep, remember, you are in a desert and dust gets everywhere! Jeeps are great off road and durable but they do not keep out the dust. It takes about 2 hours to drive from Vegas to Death Valley. Before you leave Vegas make sure you stock up on food and water. The stores in Death Valley are not well stocked and the prices are outrageous. A can of chili was $4.29!! Gasoline prices are a bit higher than civilized areas but not too crazy, just make sure you fill up any time you pass a gas station. 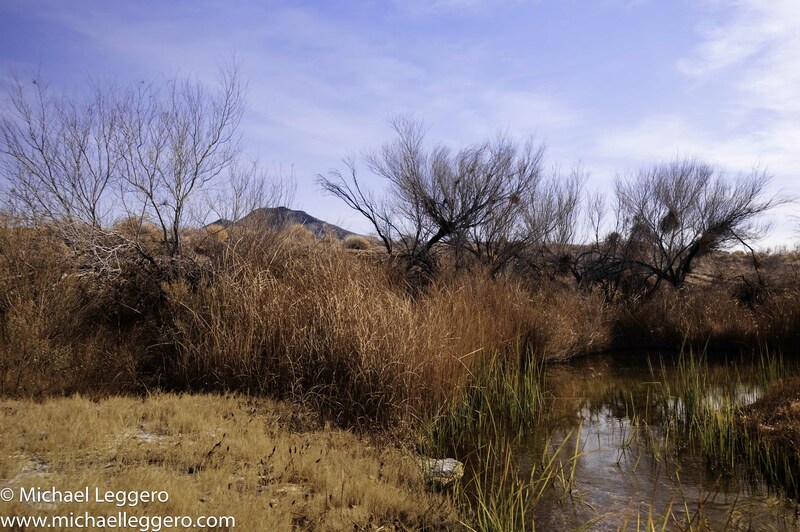 As you drive towards Death Valley from the town of Pahrump you will see a sign for Ash Meadows Wildlife Refuge. This is a nice place to stop and stretch your legs. There isn’t too much to see there but it’s a nice little creek and some birds that are unique to the area. I haven’t ever seen any other wildlife in this “wildlife refuge” however. Camping is the best way to see things on this trip. You can camp virtually anywhere in the park and you’re not restricted to campgrounds. If camping isn’t your thing there are several motels in the park. They are about a 1 or 2 star hotel quality. The motel at Stovepipe Wells is the most centrally located and if you use that as your base you can see many things going back and forth each day. The advantage of camping is that you can camp in close proximity to great views for the sunrise and sunset hours. Driving in Death Valley in the dark is not something I would advise except on the paved roads. As you drive in you will see Zabrinskie point on your left. This is probably the most photographed place in the entire park. The colors of the mountains are spectacular at dusk as the sun shines down on the valley. Keep driving into the park and make sure you stop at the Furnace Creek visitor center to get a map of the backcountry roads. This is not the normal map; you have to ask for it specifically from a ranger. Without this map you WILL get lost. Death Valley is all about the backcountry roads. You can see some of the sites from the paved roads and even these sites are amazing. However to see the very unique things you need to get off the pavement and start exploring. The majority of the roads are well maintained and you will see people driving them with normal cars. Just remember it’s a dirt road so it takes longer to stop than it will on pavement, and keep your speed low to reduce dust. Some of the best things to see in the park are hidden and I think that is a good thing. You have to travel and earn the right to see some of these spectacular sites. Titus canyon is one of these for sure. Take the one-way road from Rhyolite ghost town and you will be treated to spectacular mountain views and canyons reaching to the sky on both sides as you travel through. 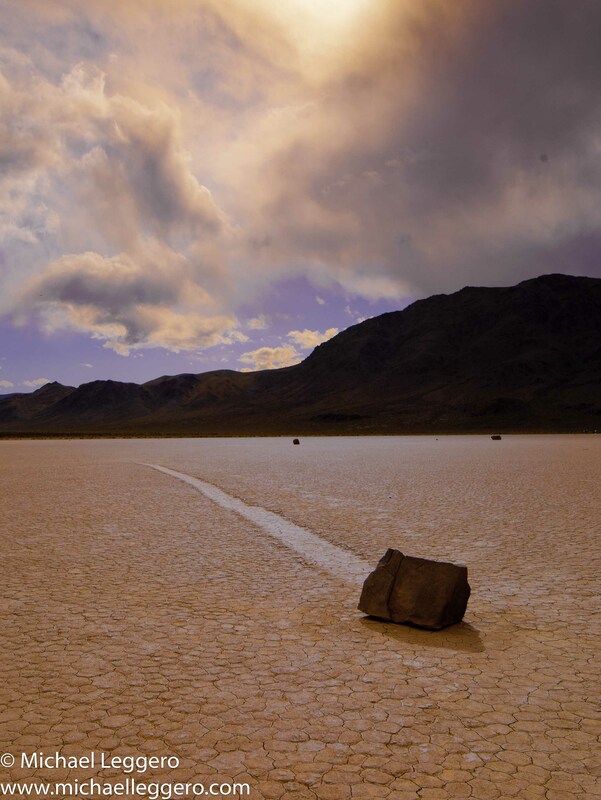 The racetrack is the famous Death Valley moving rocks site. This is a good place to camp and get some really spectacular sunrise or sunset photographs. The drive there also gives you a chance to see a very dramatic cactus forest that just appears suddenly and then ends the same way. Travel north from the start of the racetrack road and work your way to Eureka Sand dunes, the tallest sand dunes in California. I’ve never made it to the top yet but I keep getting higher each time. Someday… On the way there you will see a huge sulfur mine on your right side. Very dramatic orange and white colors and a huge opportunity for photography in the whole area. You can easily spend a day there. If your timing is right when you are at the sand dunes you can have a jet from the nearby air force base fly overhead. The dunes are so high that you feel like you could hit the plane by throwing a rock at it! If you have the off road driving skills then continue from the Eureka dunes through steel pass and end up at the Saline Valley Dunes and Salt Flats. These dunes and flats are well out of the way for most people and receive few visitors. You can reach it from the main road but using the main road will add many many more miles and hours. A final out of the way thing to see is Darwin Falls. The turnoff is just after Panamint springs. Panamint springs has a great little restaurant with thousands of pictures on the walls and honestly this is probably the best little hidden restaurant in the park. 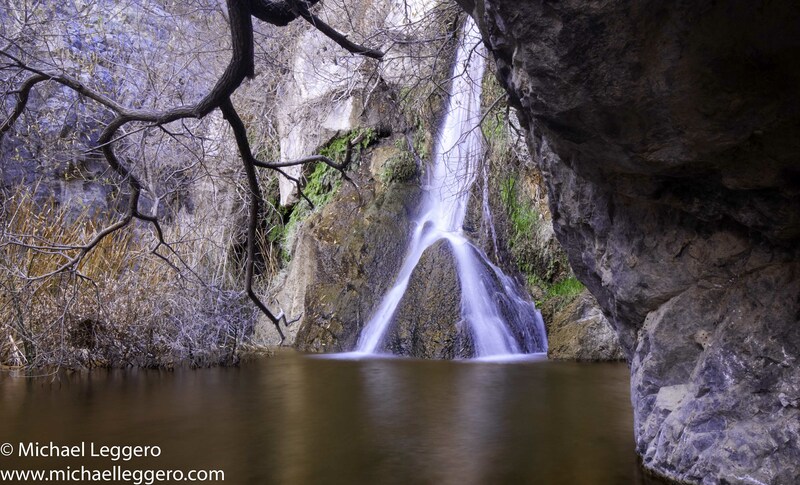 Darwin falls is nestled at the end of a nice walking trail in a green leafy forest. It’s amazing how such a place can exist in a desert. There is a 2nd waterfall above the first you can reach by taking a very narrow and somewhat dangerous trail. I would estimate only about 500 people a year see the 2nd waterfall because of the difficulty getting to it. 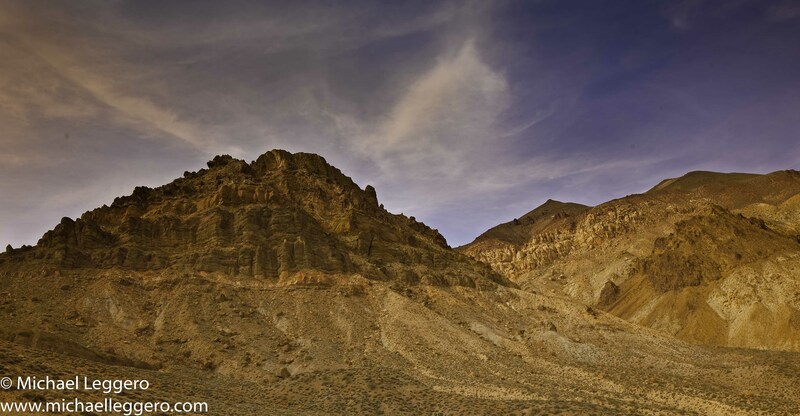 There are many many many more things to see in Death Valley but these are just a few. There are entire books written on the park so there is no way to mention it all here. Make sure you see the salt flats below sea level, that’s easy to find just south of the furnace creek ranch. Almost everything there is 500% better when photographed at dawn or dusk so try to plan ahead to be at your locations safely at the right time. If you want a really interesting sight and you have a very clear day, go to Furnace Creek Ranch and look towards the Panamint Mountains. If you have a very good telescope or binoculars you will see what looks like two large dark caves or holes in the mountains. These are rumored to be the windows of a long ago abandoned government alien research station. Safety is important there, drink a lot of water, about a gallon a day per person. Most modern rental cars have no problems with overheating. Make sure you have a spare and a jack and know how to change the tire. Flat tires are the most common mechanical breakdowns in the park. There is a repair station in Furnace Creek. If you do get a flat and are driving on the spare make sure you get the old tire fixed before you head out on the trail the next day. Warning, when a sign says “advanced four wheel skills needed” believe the sign. This is the only place in the world where I’ve actually agreed with this sort of sign. Death valley has death in the name for a reason. If you are not someone with advanced off road skills then do not go on the advanced roads or you will probably have an accident and fall off the side of the mountain and be seriously injured or die. If you want to know why then park your car and walk for a mile on the trail. You will understand, and it only gets worse as you go on. The advanced trails are narrow with no room to turn around and there is no turning back, so once you start you have to go all the way. Luckily there are few of these roads and there are always long ways around to see the same thing at the end. 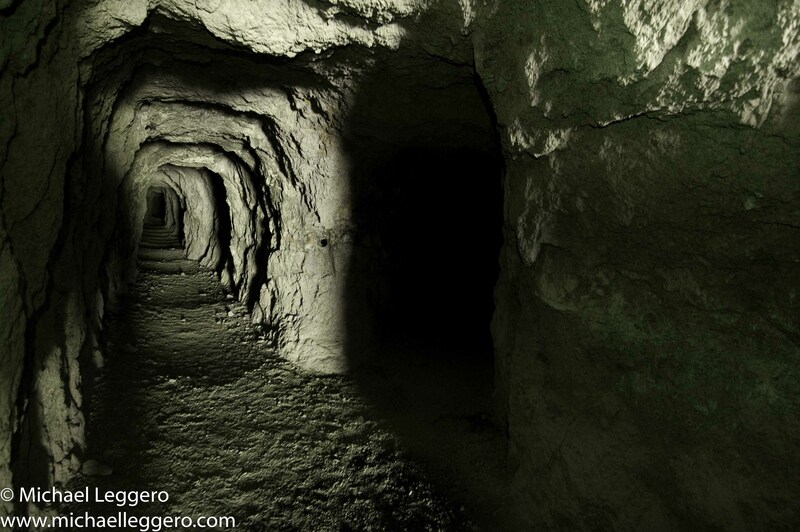 Death Valley is home to thousands of abandoned mines. Please remember to stay out of the mines, as they are dangerous. There can be poison cyanide inside, unstable rafters and floors. If you enter and get hurt it can be days or never before someone finds you. Most of the times i visit a blog i get disappointed.On the other hand,I have to say that you have done a good job here.